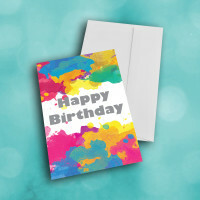 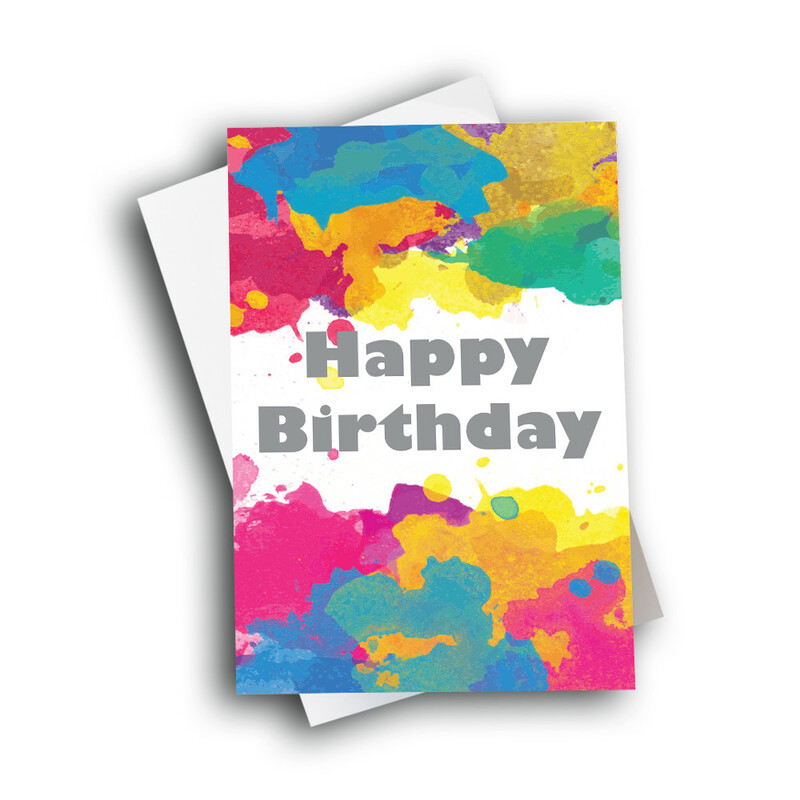 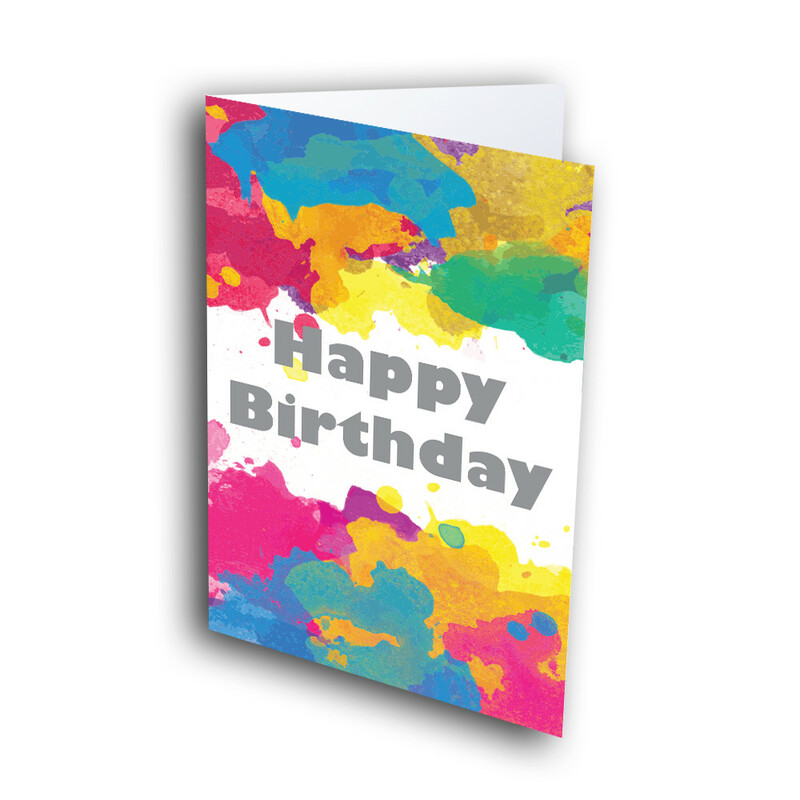 Send a birthday card that's special and unique, with this color-splashed greeting card. 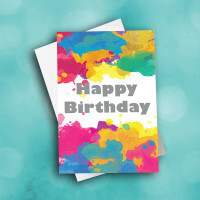 This birthday card will bring some variety to your greetings. 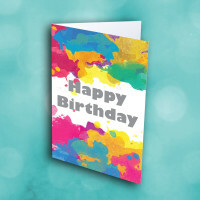 The front is an artistic splash of bright colors, creating a frame around the simple birthday greeting in the center. 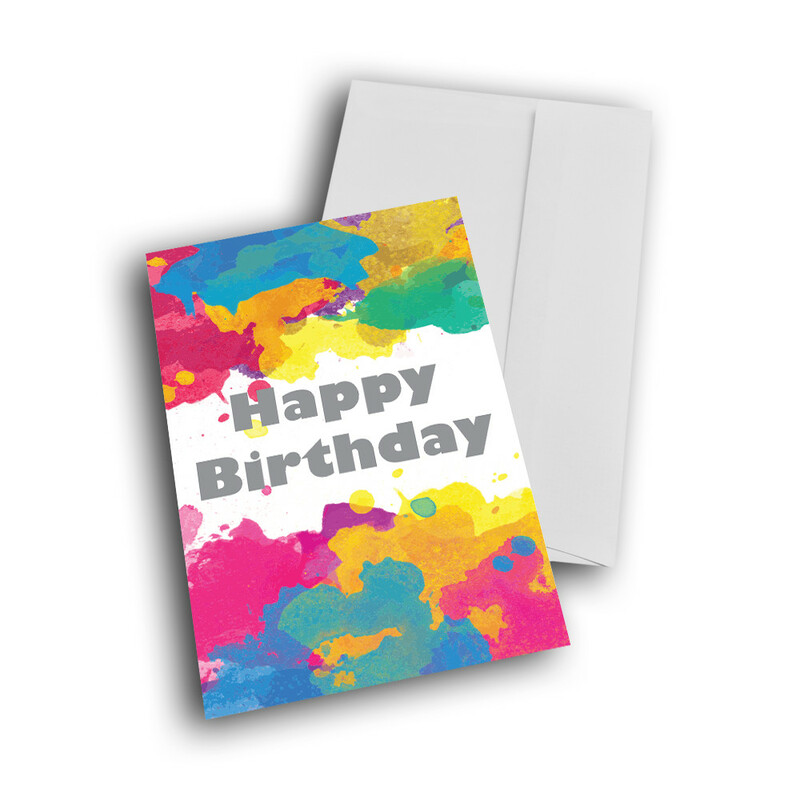 Personalize a message inside to make this a custom, one-of-a-kind birthday card.